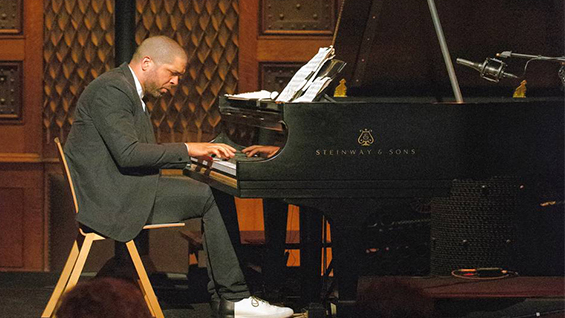 Jazz pianist, composer, and performance artist Jason Moran gives a free, public lecture as part of the Spring 2018 Intra-Disciplinary Seminar (IDS) lecture series. Born in Houston, TX, Moran earned a degree from the Manhattan School of Music, where he studied with Jaki Byard. He was named a MacArthur Fellow in 2010 and is the Artistic Director for Jazz at The Kennedy Center. Moran currently teaches at the New England Conservatory of Music in Boston, MA. Moran's rich and varied body of work is actively shaping the current and future landscape of jazz. He is deeply invested in reassessing and complicating the relationship between music and language, and his extensive efforts in composition, improvisation, and performance are all geared towards challenging the status quo while respecting the accomplishments of his predecessors. His activity stretches beyond the many recordings and performances with masters of the form including Charles Lloyd, Bill Frisell, and the late Sam Rivers, and his work with his trio The Bandwagon (with drummer Nasheet Waits and bassist Tarus Mateen) has resulted in a profound discography for Blue Note Records. 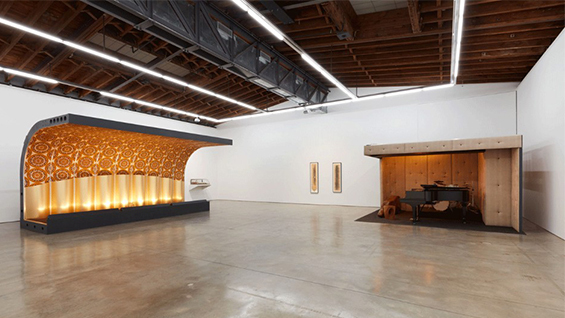 The scope of Moran’s partnerships and music-making with venerated and iconic visual artists is extensive. He has collaborated with such major figures as Adrian Piper, Joan Jonas, Glenn Ligon, Stan Douglas, Adam Pendleton, Lorna Simpson, and Kara Walker; commissioning institutions of Moran’s work include the Walker Art Center, the Philadelphia Museum of Art, the Dia Art Foundation, the Whitney Museum of American Art, Jazz at Lincoln Center, and Harlem Stage.